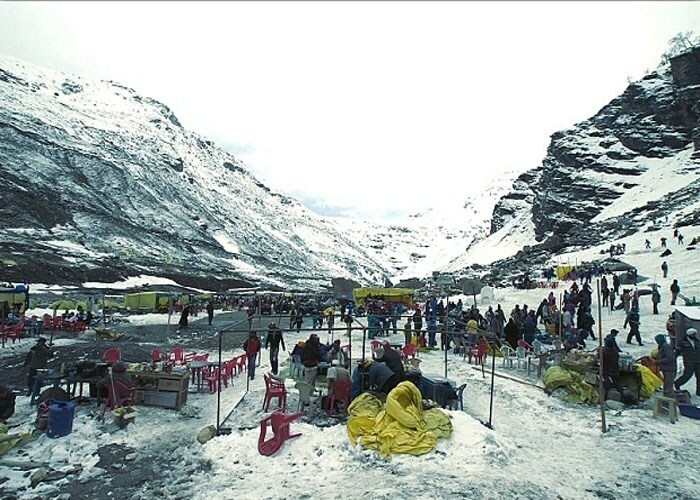 Manali is an ideal place to taste a wide range of local and Himachali food. There are quite a lot of dining outlets where you get mouthwatering local food. They are Siddu, Mount View Restaurant, Keylinga Inn, and so on. Most of these restaurants are easily accessible and is just 15 minutes’ drive from the Mall. You can try a range of local cuisines like Madra, Dhaam, Tudkiya Bhath, Spicy Lotus stems, Chha Gosht, Babru, and so on. These food items are made from indigenous produce of the region and are ideal to quench your taste buds. You can also try some local tea. For foreign tourists, there are also dining outlets that offer a wide range of European and continental delicacies. A wide variety of continental, Tibetan, Chinese, and international dishes are available here. Some of the well-known dishes in the restaurant are roasted duck with citrus, roasted chicken with coconut and truffle, lamb cutlet, and lots more. Delicious desserts are also served. They are made from herbs and sweets. Some of the popular restaurants in Manali are Rose Garden, Johnson’s Café, Martin’s, Casa Bella Vista, Drifters’ Café, Dylan’s Toasted and Roasted Coffee House, and Chopsticks. The sitting areas are highly decorated with traditional furniture. Street food is also quite popular in Manali. One can also enjoy dining in the Mall and the surrounding areas. There are small food joints and cafes which serve various types of light snacks. You can enjoy delectable desserts and other sweet dishes too. Make sure to try out some refreshing beverages like lemon tea, pearl tea and iced chocolate. Some of the local street delicacies include Babru, Aktori, Mittha, and so on. The Hotels in Manali are equipped with state-of-the-art amenities and offer wonderful hospitality to tourists. They provide an ideal source of accommodation in Manali.